Linda and Octavia are estranged sisters. The stay-at-home mom and socialite have never had much in common...until now. When they suddenly find themselves husband-less and broke, they reluctantly agree to combine their talents and take on a faltering P.I. agency in a strip mall. Old emotional wounds keep the two at odds and both sisters think they've made a huge mistake. But soon they realize all their clients have secrets...and who better to help them than two women who have secrets of their own? I think I had been expecting a whole lot more from this book than a simple teasing introduction. While the book is tagged as a mystery, and the cover even suggests that this is a "Humorous Mystery Series," I certainly did not find any part of that title to be true. 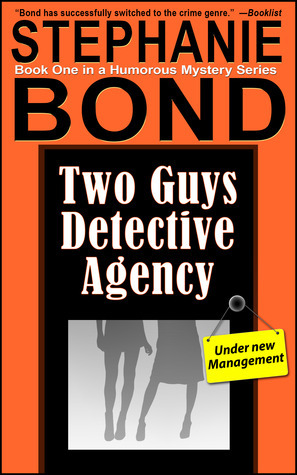 It's probably why the series was renamed to simply Two Guys Detective Agency? The concept was going to be a nice one, even if a little overdone. Two sisters, down on their luck when they find themselves husband-less and broke, reluctantly team up to take on a private investigation agency. The summary suggests so much more than what actually happens in the book. We spend a good 60% of the book itself setting up the "What will Linda and Octavia do now?" part of their failing marriages and broken families. And while I liked the whole aspect of them maybe finding a niche in taking over Linda's husband's investigation agency, starting off by helping him close a few domestic cases, the entirety of that story line maybe comprised about 10% of the book... if even that. I was even hoping that maybe the two would stumble upon a criminal case and a murder and help solve that case, and maybe make a name for themselves. But aside from closing a few insurance fraud cases, and maybe helping to find patient zero for a spreading STD case in a nursing home (the conclusion they came up with was both, a long stretch, and not at all able to be proven with anything but speculation), nothing that these two women do suggest that they are cut out for investigative work. Which makes me extra resentful that I felt righteous indignation on their behalf that everyone else also snapped to the judgment that the two of them couldn't possibly be good investigators, for other reasons that I didn't like. Because it's the truth, but the other people didn't know that they were doing a laughing-stock of a job being investigators. They were just all, "Well, you're just a stay at home mom and wife. What could you possibly know about investigative work?" To be honest, Two Guys felt like a drawn out introductory of sorts. The only true mystery was the question of what happened to Octavia's husband, Richard, and what he ended up getting himself involved in. Then there was the very, very open-ended conclusion regarding Richard's dealings, which turned out much more chaotic than I had expect... and also wasn't quite concluded, if we were to really be honest with ourselves. Virtually nothing is really solved in this book, but the characters convene and close out the story as if everything is just wrapped up nicely with a bow on top. And I probably would have been less upset if everything had been wrapped up nicely with a bow on top. But there are so many loose ends, and so many more questions that need to be answered, and even so many turn of events in the entire story that made absolutely no sense. The missing case files that the D.A. 's office is still requesting from Linda's husband, Sullivan's agency and how they relate with a murder case labeled "Foxtrot" was never closed out. The mysterious evidence bag that Richard left with the maid, who was then killed, and which now leads to an even bigger mysterious twist in the book was, again, also still left hanging. Then there's the death of Linda's husband, Sullivan, which I kept getting vibes that there was much more to it than a simple heart attach. I keep trying to connect the "Foxtrot" case with his death, and my line of thinking when it comes to crime thrillers, or even cozy mysteries, is that there is definitely a connection. And then, for some reason, I find Dunk Duncan--the private investigator who works on more high-end cases--kind of shady. Mainly, the fact that he offered to pick up all of Sullivan's open cases seemed a little sketchy to me. Or maybe I'm just paranoid. And then I'm even seeing some sketchiness in Detective Oakley Hall as well--something about him gives me bad vibes. Unfortunately, as I already stated, there were so many things left unanswered, so many loose ends that had no tie up. And the ending was so abrupt that it might as well have been a cliffhanger--it almost feels as if our author just sort of needed to wind things up and turn in a manuscript because she was meeting a deadline, and screw the quality of the book. Anyway, I'm contemplating reading the next book whenever it finally gets published, though, to be honest, it's kind of a stretch, and I might just stop here. Aside from the children and the dog, and maybe Brittany, the Waffle House waitress, I didn't really care for anyone else in this book. Octavia was driving me insane with her self-absorbed selfishness, and Linda really, really needed to grow a backbone. But I DO find the parallel of both women, having molded their entire lives around their respective husbands, then finding themselves in a quandary when they both lose their husbands, kind of a great premise to bounce off of. If anything, it gave the two a chance to rekindle their estranged relationship. 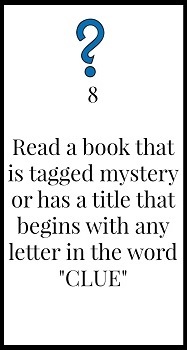 This book is tagged 'mystery' on GR.